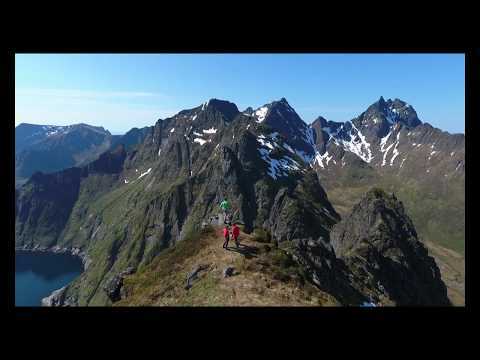 Come and join the Hiking-Lofoten team! Hiking-Lofoten was founded in 2012 and was born out of the fascination a handful of hikers had for the Lofoten Islands. The keen interest caused by the site has exceeded our expectations by far and encouraged us in our work as volunteers and internet novices. The site was originally based around ten or so hikes but now offers almost neinety hikes and that number will be increased by a further twenty by the end of summer 2018! Many of you have thanked us by email or in the forum, which fills us with joy, but we believe that hiking-lofoten could be even better with your contribution. Don’t worry, we’re not asking for money as the site will always be free. What we are hoping for, on the other hand, is concrete participation to improve the content and more generally, help the site develop. If you are interested in taking part, here are a few simple ideas about how you might help. Over 20,000 internet users currently visit the Rando-lofoten site each month. Imagine how interest in the site could increase tenfold if a mere 1% of those visitors got involved. 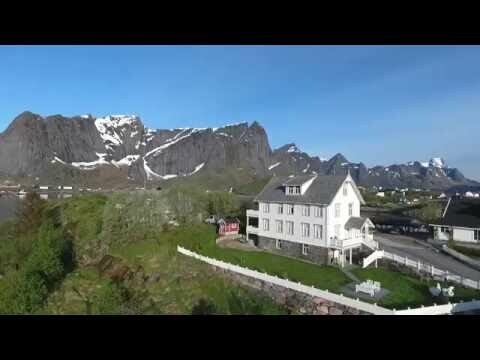 Rando-lofoten needs you, this is your site, make the most of it! Finally a complete paper guidebook! Start planning your trip to the Lofotens on the website (select hikes, download GPS tracks ...), and use our paper guidebook on the field! You have a bookshop and you would like to sell the guidebook? Værøy Island is in the south of the archipelago, just 1 ½ hours by ferry from Moskenes, and while it’s less visited than its big sisters, it has splendid landscapes. They’re definitely worth the detour. All kinds of hikers can traverse a great part of the island on foot, whether it’s to Værøy’s rounded peaks or through its magnificent landscapes. Unlike in the rest of the archipelago, a real effort has been made here to mark out the trails and keep them in good condition. You’ll find the starting points of the hikes clearly indicated, with distance and time shown for each one. In addition to marked trails, the hikes have pretty signs placed in the different points of interest with old photos and explanations in Norwegian and English. Download free maps of Norway for your Garmin® GPS! Frikart.no is a website that offers free downloadable maps! Frikart.no propose both topographical hiking maps and road maps for all Norway. Frikart maps quality is, in our opinion, as good as any other paying maps available on the market. Even better, frikart.no’s maps are on a single file that covers the entire Norway (instead of the 10 different maps files with Garmin® for example). Stéphane Martineau, botanist and Moutain Leader, has contributed in various hiking, "nature" and Pyrenean fauna books. He is also the author of several publications on wild edible plants. His work has led him to hike through the Lofoten every summer since 2011. Through this article, fruit of his observations you will get the keys to understand this amazing mixture of alpine and marine vegetation, specific to the Lofoten Islands. What is the best period to watch Northern light in the Lofoten Islands? What is the Kp index? Hiking fans and fishing enthusiasts! I wish to share this video with you. The video summarizes what I would call a Fishing Trek that stretches between step 6 and 10 of the “Great crossing of the Archipelago” proposed on this website. We travelled in late July / early August 2016, and since we had only 10 days of vacation, we privileged the last part of the “Great crossing of the Archipelago” (the most beautiful and the one that seemed most suitable for fishing). 1) to be able to walk more "tranquillo"
Your website is really great and it's thanks to you that we could organize this trip so easily. Don’t hesitate if you have any questions about the trek, I will be happy to answer. Alex "Rudankort" Shargin is a long-time enthusiast of Norwegian arctic islands. After first visiting Lofoten in winter 2010 he fell in love with the region and returned many times since. "Cloud Symphony" is his attempt to show the exceptional beauty of Lofoten using cool new technologies like time-lapses and aerial footage shot from drones. Most of the sequences were recorded between sunset and sunrise when the light is most spectacular and all tourists are asleep. BTW, a great way to explore Lofoten in high season! You can see more photos from Alex and follow his future projects here.